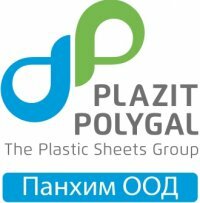 The Plazit Polygal Group is one of the leading international specialist manufacturers of thermoplastic sheets for various applications. Our company is respected worldwide for its innovative and high quality products and expert technical support. Our production facilities are located in Israel, USA, Chile, Bulgaria, Russia and Spain, enabling our clients to source our products close to their locations around the globe. Both Plazit & Polygal started to manufacture extruded plastic sheets in 1973 – a landmark year for the international plastics industry. Polygal became few years later a pioneer in the production of polycarbonate multi wall sheets. From modest beginnings, both companies have grown and become world leaders in the plastic sheeting market. Plazit and Polygal merged their operations in 2011, and the Plazit Polygal Group continues to develop its products, production facilities, human resources and market presence. We are committed to meeting the needs of our customers and guaranteeing high quality, flexibility and swift response – these commitments are the key to all our activities. Plazit Polygal Group facilities are certified according to ISO 9001, ISO 14001, CSTB (France), HACCP, ROHS, fire and health certifications, and other international engineering standards. Our in-house experts provide technical support and continuous product development to meet the evolving needs of our global client base.